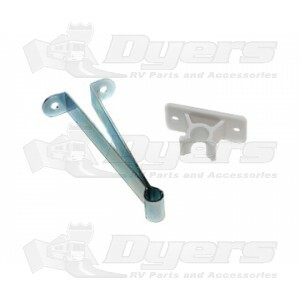 Entry Door Holder- Metal with Plastic Clip. Door catch bends very easy. Going to upgrade to something else. Wind caught the door one time and that was it.